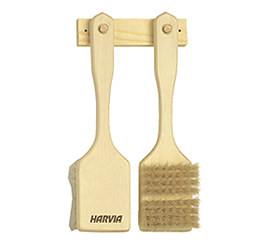 The bristles of the Harvia sauna brush are of high-quality natural fibers, which makes it comfortable on the skin. The sauna brush makes it easy for you to wash your back after relaxing in the sauna. 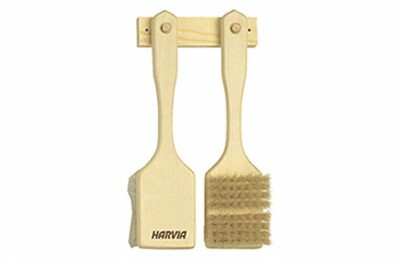 The set has two sauna brushes.